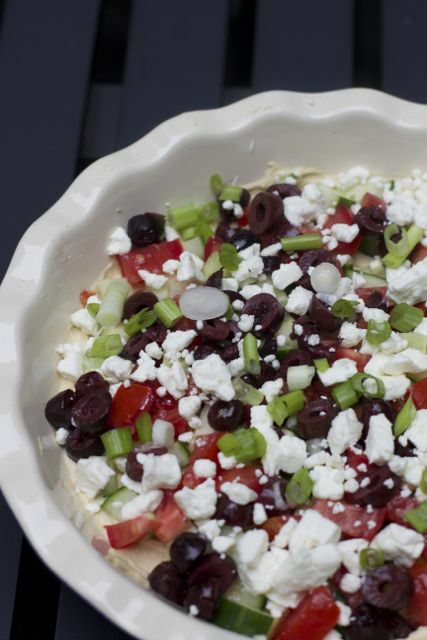 Tired of the traditional mexican 7 layer dip? Take a trip to another part of the world with a recipe that is just as easy and is recommended to make a day ahead of time. 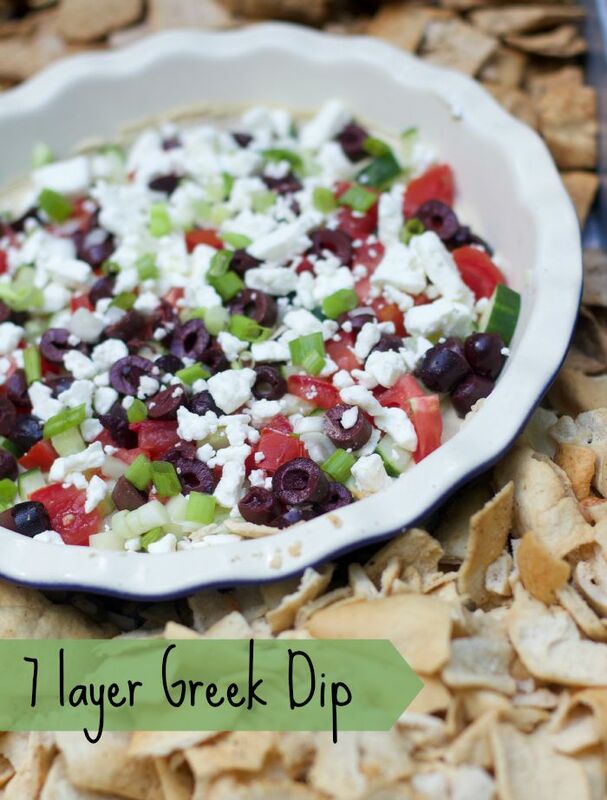 This version of a Greek style layered dip recipe is a great way to add fresh veggies to your appetizer table. 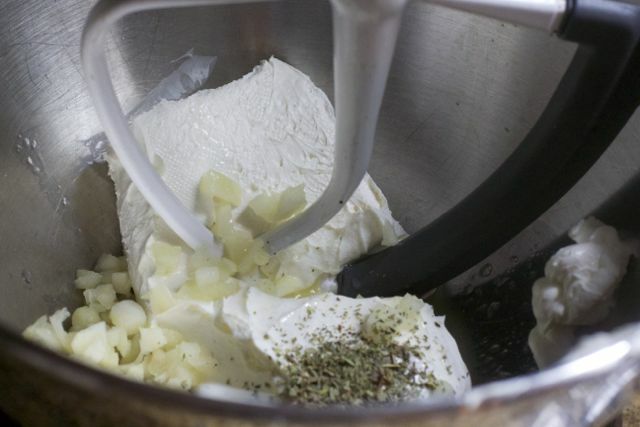 There are two reasons why I love this recipe so much. First you can make it ahead of time. In fact it is in the recipe to make up to 24 hours in advance. The second reason is you don’t just have to make this a summer dish. You can get cucumbers and tomatoes year round that are worthy of this recipe. It is light and refreshing and you feel you are snacking healthy with fresh veggies! Plum tomatoes seem to be the best all year round as they are not very juicy so the dip does not get soggy or covered in tomato juice. 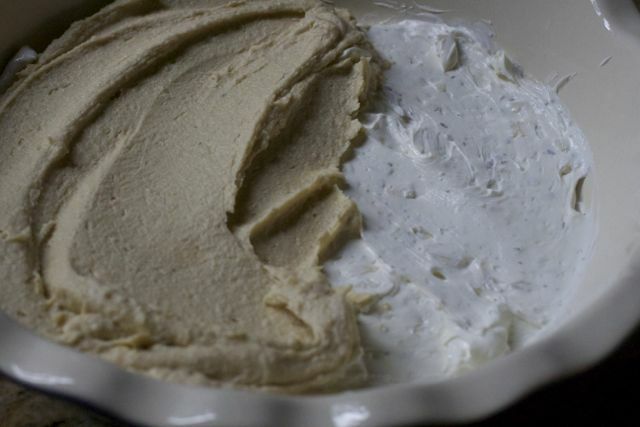 I made the first layer of cream cheese and hummus 2 days in advance, as I was trying to get things done for the event I was hosting. I found this recipe in a Better Homes and Garden magazine a few years back and it continues to be a big hit. Best part is you make it a head of time so you can enjoy your guests. 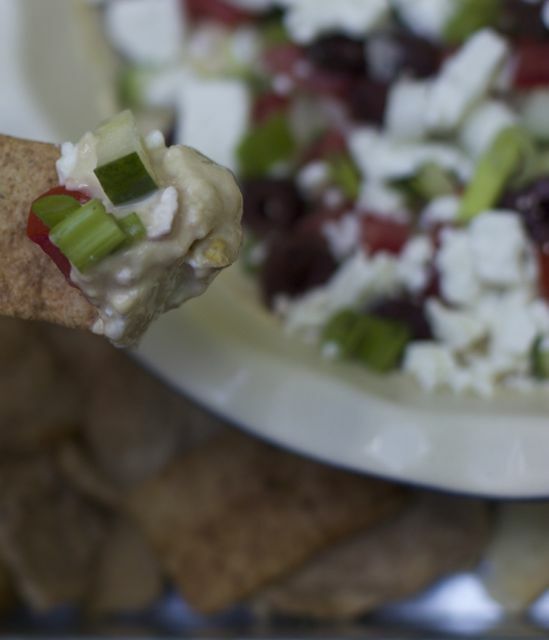 Be sure to check out all the other amazing Greek Recipes for Greek night. 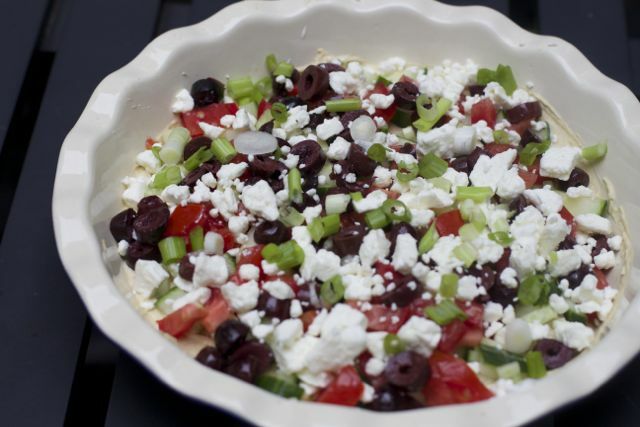 For our dinner we served this as 7 layer greek dip as appetizer. Dessert: Peach and Blueberry Crumble. 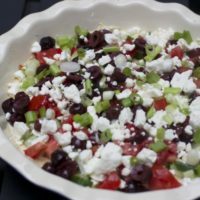 I’m not a fan of feta, but everything else in this recipe sounds SO good! I would love to try it! I love everything in it on it’s own so together it must taste incredible.